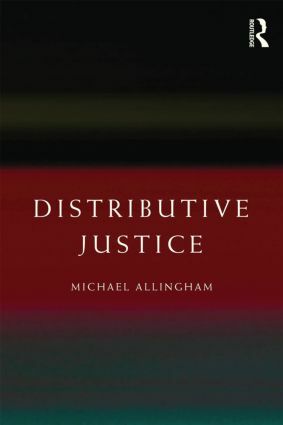 This book presents a critical appraisal of the main theories of distributive justice. It develops the view that all such theories, or at least all liberal theories, may be seen as expressions of laissez-faire with compensations for factors that they consider to be morally arbitrary. More precisely, these theories are interpreted as specifying that the outcome of individuals acting independently, without the intervention of any central authority, is just, provided that those who fare ill for reasons that the theories deem to be arbitrary, for example, because they have fewer talents than others, receive compensation from those who fare well. The principal theories discussed are Rawls’s justice as fairness, Dworkin’s equality of resources, what may loosely be called Steiner-Vallentyne common ownership theories, and Nozick’s entitlements theory. The book considers the extent, if any, to which the theories examined can accommodate both liberty and equality. It concludes that if any such accommodation is possible it will be found in common ownership theories.